Guarding Against Glaucoma: What Can We Do? 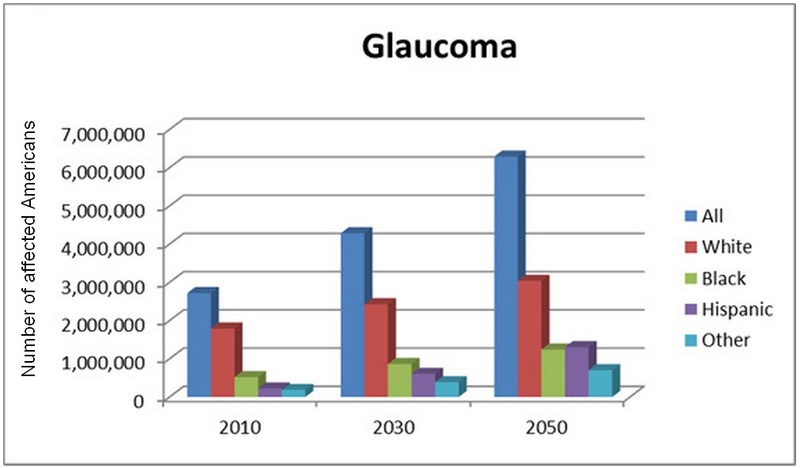 This graph provides a frightening look at a problem that could threaten the vision of more than 6 million Americans by 2050: glaucoma. Glaucoma is a group of diseases that damage the eye’s optic nerve — a bundle of 1 million-plus nerve fibers connecting the light-sensitive retina to the brain — and that can lead to vision loss and blindness. NIH research is trying to change this picture by developing better strategies for treatment and prevention. But you can also help. How? By getting your eyes checked regularly. Glaucoma often has no symptoms until a lot of damage has already been done. So the best way to prevent a bad outcome from glaucoma is by undergoing a simple eye exam that can be done by an ophthalmologist or an optometrist — at least once every 2 years for people in high-risk groups.